Organising digger hire for Mansfield earthmoving projects is one of the first steps when you prepare to undertake heavy construction work. 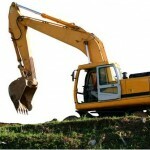 The use of a digger may be necessary for home improvement, commercial construction or for making improvements on a farm. There are a number of options for hiring specialist Mansfield earthmoving equipment. If you can handle the equipment (and have any necessary licences), then you may decide to hire the equipment only and carry out the work yourself. 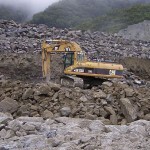 Alternatively, you can arrange digger hire along with a qualified and experienced operator. If the job is a big one or you have any doubts about carrying out the work yourself, then this can be the better option. Hiring an operator is often the safest and most efficient way to do things because it guarantees that the work is done safely and speedily. As well as hiring diggers, other earthmoving equipment such as excavators, trucks, bobcats, graders, loaders, back hoes and more can be hired from earthmoving hire firms. Before you do digger hire, think carefully about what equipment you need and whether you’re able to operate it yourself. This way, you can ensure that any contract you enter into with an earthmoving firm covers the specifics of what you require and states whether you’re hire fee includes an operator or not. Digger hire can significantly cut the number of man hours for any given job. The larger scale the Mansfield earthmoving work, the more efficient it is likely to be to use heavy equipment. If you’re unsure, speak with someone at the hire firm and get the right advice about what you need. With a bit of planning, the hiring of equipment and/or an operator will speed your project up dramatically. Contact Mansfield Plant Hire for any of your Mansfield earthmoving projects.